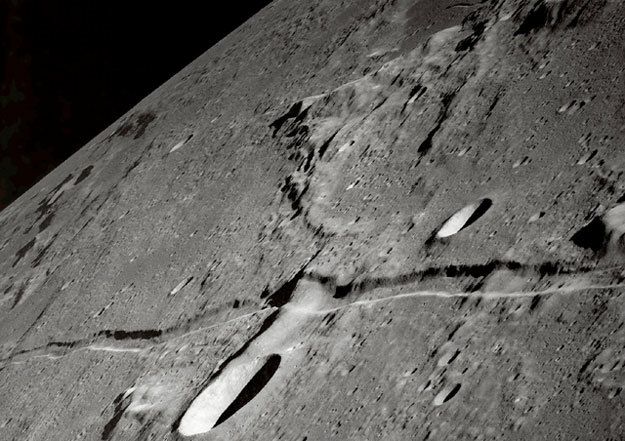 Explanation: What could cause a long indentation on the Moon? First discovered over 200 years ago with a small telescope, rilles (rhymes with pills) appear all over the Moon. Three types of rilles are now recognized: sinuous rilles, which have many meandering curves, arcuate rilles which form sweeping arcs, and straight rilles, like Ariadaeus Rille pictured above. Long rilles such as Ariadaeus Rille extend for hundreds of kilometers. Sinuous rilles are now thought to be remnants of ancient lava flows, but the origins of arcuate and linear rilles are still a topic of research. 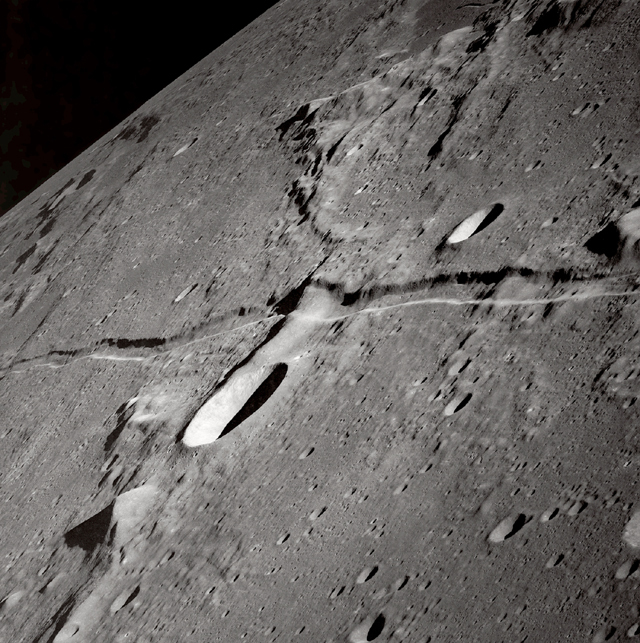 The above linear rille was photographed by the Apollo 10 crew in 1969 during their historic approach to only 14-kilometers above the lunar surface. Two months later, Apollo 11, incorporating much knowledge gained from Apollo 10, landed on the Moon.